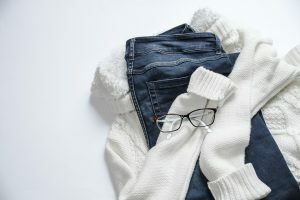 Home » What to wear on a moving day? What to wear on a moving day? The most important thing during the move is a good organization. If you plan your moving trip the right way, you will feel more comfortable. This is why you should choose comfortable clothes to wear on a moving day. If you already hired NYC movers to help you pack, save some time to pick the right clothes for your moving trip. Overseas and international moving trips can last for many hours. This implies that you organize well, wear the right clothes and pack important documents into your moving bag. For example, after hiring local movers New York to help you pack, you can move yourself and your family with a car. Moving short distance is way less complicated than moving overseas. Make sure to plan your move on time, so you can have a stress-free relocation. This will allow you to have more time to rest and concentrate on important things. Make sure to organize well, wear the right clothes and pack important documents into your moving bag. In case you are moving last minute, don’t forget to choose the right clothes to wear for the moving trip. It will be the best if you wash and prepare them few days before the trip. This way you will not pack them into moving boxes by accident. During the moving day, your clothes should fit you perfectly. If you feel comfortable, you’ll avoid injuries during the move. No matter how fashionable you want to be, you’ll probably stay long in the same outfit. During the moving day, you should wear comfortable, protective clothes that you can easily wash. The outfit that you wear on a moving day should be comfortable. Avoid white colors. Everything you wear on a moving day will probably be ready to wash after the move. 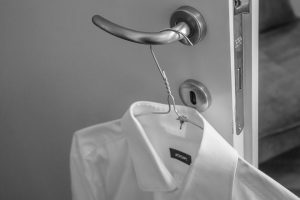 While you travel, there is a lot of chance that you stain your white shirt or pants. Make sure to avoid white, beige, or any other bright color. Choose flexible and stretchy clothes. The outfit that you wear on a moving day is up to you. However, comfortable clothes will allow you to think about the organization of the trip. Also, it will allow you to rest more in case you are traveling overseas. If you’re moving during summer, avoid artificial fabrics. This rule applies to any travel, but it’s mostly recommended for summer. If you are moving during the biggest heat, clothes made of cotton are perfect to wear on a moving day. Cotton is a breathable fabric, so it will allow your skin to breathe. If you are feeling good in your clothes, the moving process will be much easier! Pack extra clothes for emergency situations. Whether you are traveling alone or moving with a family, extra clothes are highly recommendable in your traveling bag. If you have children, there’s always a chance they will tear or stain the clothes. In general, your outfit gets dirty much faster during the travel. Choose clothes with pockets to wear on a moving day. Pockets are always a good detail on your outfit during the moving day. If you have important documents like passport and visa papers, as well as your money, pockets will really come handy. Choose a pair of loose trousers or a cotton shorts to wear on a moving day. What shoes to wear on a moving day? No matter which shoes are your choice, you should try to get as comfortable ones as you can find for your moving day. If you can, choose breathable-fabric shoes. 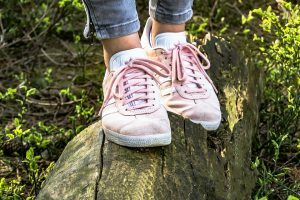 Even though many people travel in sneakers, not all of them are made of natural materials. Some plastic and polyester materials can cause your feet to sweat. Those will not be comfortable to wear on a moving day. During the summer day, you could end up slipping and injuring your feet. Pick the older pair of shoes. Because they will get dirty during the trip, for sure. If you have the favorite old pair of sneakers, that would be a good choice. Also, zipper shoes are more convenient than the ones with laces. In case you need to change the outfit during the trip, the zipper will save you some time. Avoid flip-flops, sandals and other open-toes shoes. These will be very uncomfortable to wear during the long flight or a car trip. Moreover, the number one cause of leg injuries during the trip are shoes with open toes. How to pack your traveling bag for the trip? If you are moving overseas, make sure to bring multiple layers of clothes in your bag. 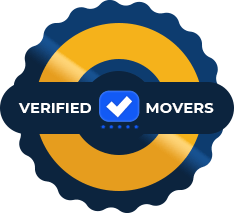 Whether you hired long distance movers in New York to help you are packing yourself, there are some things you should carry for the moving trip. Packing a moving bag is easy. However, many people forget to bring the essentials, important documents or other. If you are moving last minute, make sure not to forget to bring extra clothes for the trip. If you are moving overseas, make sure to bring multiple layers of clothes in your bag. There’s a big chance you’ll go through temperature changes while traveling. The clothes you wear on a moving day should help you feel good and well rested. If you have the chance, bring several t-shirts so you can change while traveling. Cheap apartments in NYC – how to find?